Paranormal Pursuit: The Gifted One is rated 4.4 out of 5 by 42. Rated 5 out of 5 by bubuus from Loved it. Absolutely loved it! It was amazing in every aspect. Great quality, well thought out, not too difficult yet not too easy either. Absolutely perfect. Hands down one of the best games I played with in recent times. Rated 5 out of 5 by BigFishComments from LOVE LOVE LOVE This is now my ALL TIME FAVORITE HOG! The down to earth feel of making it feel like you had to really put things together, being chased, trying to save a psychic boy, so realistic - it was all so fantastic! I love everything about this game!! Please make more of these types of games with the paranormal and realistic aspect! Awesome Game!!!!!!!!!!!!!!!! Rated 5 out of 5 by MRM3232000 from BEST GAME EVER!!! It was AWESOME!!! By Far the BEST GAME EVER! The storyline was creative, The Idea was cool, and the game was fun!!! Rated 5 out of 5 by denniann2 from great game!!!! the game has a custom level, interactive map, journal. you are a social services worker in the juvenile division that gets an anonymous call about child abuse and sets out to investigate. you arrive at the home of a cop and right off you know he is lying. you find the boy in the basement and go on the run with him and try to figure out his paranormal powers and what is behind them and why the cop lied to you. the story keeps you interested. i would highly recommend it. sequel in the series? i would think so. Rated 5 out of 5 by skipper10 from Paranormal Pleasure I played the Collector's edition, so there was also the extra story. Both stories were very well written, and the play was engaging throughout as well. Many games seem to have points where the stories lag in lieu of time-fillers, but the plot was vivid throughout. Both adults and children were strong characters. Most enjoyable game I've played for a long time. Rated 5 out of 5 by BooBooBren from Fun! This is one of the most enjoyable game I have played. It's great for a casual cold day and really kept my interest. The storyline was good and graphics were great for old eyes. Rated 5 out of 5 by blackdame from GREAT ADVENTURE CHALLENGE It is a very interesting plot. Rated 5 out of 5 by judeejuju from A little gem! I loved this game. Fast moving and interesting. Didn't have the bells and whlstles of some of the other games, but I didn't care...nice to play something a little different. Rated 5 out of 5 by Xfactor_101 from Loved It! I wish there were more games like this. No demons, no witches and no spells to cast. Just a good clean game that you won't want to put down. Rated 5 out of 5 by seraph909 from Fun Game No elaborate review of the game here, there are many detailed reviews so I will just say this was a fun game that was not frustrating. It stayed interesting for me throughout, no ugly junk and offered a different kind of HOA. Some of the mini games were a bit too hard for me or I just didn't want to go through the struggle of solving them so I skipped several and did what I could easily do. I don't usually leave reviews but I really enjoyed this game that wasn't too 'junky' and ugly but not too pretty and full of bunches of 'pretty' stuff. The story line was different and interesting. Rated 5 out of 5 by c_smeraldi from A different type of game! This game was really fun because it had a bit of a different feel to it and some different types of puzzles. The challenge level wasn't that hard, but it was a fun few hours! Rated 5 out of 5 by Myndee from A Very Well Made Game & Lots of Fun I just finished playing this and was so happy with how well done it was that I wanted to jump in and give it my thumbs up! There are NO HOS's - instead there are Find and Use scenes - much more fun IMO. The storyline was v. good, there is a map that lets you jump to locations and shows where actions are available. The main characters are lovable and memorable and a breath of fresh air from fairy tales and dragons. The puzzles were less than mind bending, but fun nevertheless. Highly recommended for an afternoon of solid fun. I too, was sad to see it end. Rated 5 out of 5 by MariaJustine from Excellent but frustrating at times The curser didn't always turn into a hand so a lot of frustrating clicking and used hints more than usual. Also wish the characters would talk when touched. Music I always turn off so no input on that. Appreciate that storyline did not involve churches and violating church altars like in many games. Also enjoyed it more because it did not have satanical figures and dragons. Almost impossible to find nowdays. The storyline is grippng if you love kids. Don't know if a guy would enjoy it as much but I loved this game. Rated 5 out of 5 by smradagast from Very nice indeed The thing that fascinated me with this game was the level of detail and how well the intro and all other cut scenes were executed, like i was in a movie or high budget tv show :) The game looks and feels great even though i am more for a magical fairy tale setting. Rated 5 out of 5 by wineguy85 from LOVE ADVENTURE GAMES! There are so few pure adventure games . This may be the best. Grabs your attention from the firat scene and never lets up. With most games I'm usually lost or bored half way thru and can't wait for it to end. I was dissapointed when this ended because it was so much fun. Has inventory lock which is a must. Very fast - 10 sec recharge which is great. Wonderful graphics and sound. NO HOG's but lots of scenes where you are given the silouette of a handful of items, which you must find in order to complete it. Wish they made more like this! 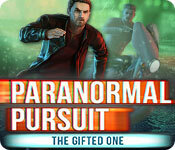 Rated 5 out of 5 by farmguys from Paranormal Pursuit: The gifted one. I loved this game and played in from start to finish today as soon as I bought it. The story was creepy enough to keep me interested and challenging as well. And of all things it actually had a happy ending which I found refreshing. Rated 4 out of 5 by candacemae79 from Loved the storyline and HOGs While the game was a little bit slow at times (in terms of cut scenes finishing and allowing game play to continue), but overall it was an enjoyable game. It featured my favorite style of hidden object games - the kind where instead of just searching for a list of items, you had to interact with all of the items to find the next one. It's just more fun to me than finding items from a list. The puzzlegames were a little on the easy side, though. Also the strategy portion was pretty easy as well - no need for hints on the hardest setting. But still, the concept was unique and overall I enjoyed the game. Rated 4 out of 5 by c_tea from Well Done Game has some hard to solve puzzles yet some super easy ones - a balance of challenges. The HOS mix it up a tad from the norm, elements are required to find other elements and such, nice change. The graphics are super. The story line has some twists that are fresh and not the norm compared to many of these types of adventure games. It takes a while to complete, another nice change. All in all, this game is one of the better ones I have bought. Rated 4 out of 5 by odarney from Would have given 5 stars, but too short. Finally! A game with a different storyline. A child with "special abilities" is kidnapped and you have to help him. I got really invested in the game. I just wish the game would have elaborated more on his special talents and had a little more fun with that. The side games were different and you really wanted to get away from the 'bad guys.' The game was pretty simplistic, but again, a breath of fresh air for the storyline. Rated 4 out of 5 by pennmom36 from Child Protection Service To The Rescue! Kevin's stepfather locks Kevin in the cold dark basement, "They'll come for you soon, stay here" Kevin is an extraordinary child who is able to manipulate space and time, and immediately uses his paranormal powers on an unsuspecting man walking near his house. Kevin mutters the words, "I need to make a call" and this man obliges, he walks to the nearest telephone booth (conveniently located two houses away) and dials Child Protection Service to report a case of child abuse and hangs up the phone. Samantha Evans finds this call unnerving and heads to 27 Riverside Street to speak to Jason Clark personally. Samantha knows Jason is lying when he denies that Kevin is at that residence when evidence lying around the room clearly shows a child has been there recently, even worse, Jason is a policeman! Samantha apologizes and leaves the house only to backtrack and search for evidence of Kevins whereabouts. Surprise! Kevin can clearly be seen through the cracks of the cellar door, double surprise, Kevin is entertaining himself with his toys...levitating them in midair! Without thinking Samantha jumps into the cellar with no regard to the fact that the cellar has no stairs but eventually the use a lockpick to escape through the basements main door. Now the heart pumping action begins as Kevin and Samantha try to sneak past Jason, the music quickly escalates as you follow the bullet point icons, Hide or Run! They both run towards Samanthas car just as Jason realizes that they are escaping, Jason hops on his motorcycle and the chase begins as Samantha burns rubber and maneuvers the car as if she was an Indy race car driver and speeds toward the railroad tracks! If Kevin hadn't used his powers to manipulate time, the two of them would have been pancakes! Unfortunately Sam has now been identified as a kidnapper and the two of them must repeatedly escape from relentless pursuit from a corrupt police department and a crooked would be Senator who has an unknown interest in children with paranormal gifts. I found this Standard Edition to be a much better value, I simply wasn't impressed with the Collectors Edition. I would have given this edition 5 stars if there were more activities to do in each scene and the tasks at hand weren't so predictable. Everytime you need Kevin to help you levitate items or manipulate time, you simply click on his photo icon and stand back! Some of the inventory items have plus sign indicators that require further action before using that item such as bending a wire to form a hook or converting a multi use tool from pliers to knife. 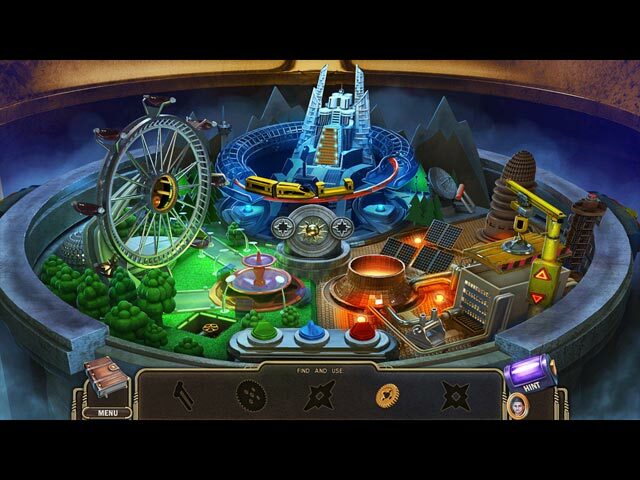 There are very few Hidden Object Scenes, and all of them so far seem to be interactive, progressive silhouetted shapes where you find the first item that matches it's silhouetted shape and use that item back in the scene such as a key to unlock a cabinet which exposes the next item and so forth. The mini games were pretty basic such as flipping two tiles at a time as you try to make matches of logical pairs such as a dog and a bone. Most of the mini games and puzzles were actually in the plus item inventory items. The Collectors Edition has Collectible Coins with apples and pencils and are far and few between, Wallpapers, Concept Art, Achievements, Cut Scenes, Music, Characters, a built in Strategy Guide (this is an easy and logical game and you probably won't need this feature) and a Bonus Chapter: On The Edge where you investigate paranormal powers on an Island. I really believe that this Standard Edition is the better value, enjoy! Rated 4 out of 5 by mrm2006 from Not Quite as "Paranormal" as I Expected. Well, I've now played both the CE and SE demo versions of this game and I still really like it. Not "love" it, but really, really like it. I even played the beta game and I seem to enjoy it each time I play it. Hmmmm. Maybe if I play this demo again I WILL love it. lol A little boy is shoved into a basement room and told by his "step-father" to stay there because "they" will be there to "get you soon". Uh-oh. That sure doesn't sound like it bodes well for the little boy. Then, a man walking down the street feels compelled to make a call ...... to Child Protective Service. Giving nothing but a report of possible child abuse and the address, the man hangs up. Why is Kevin (the little boy) saying the words as the man in the phone booth is?? ?/ Hmmmmm. Your character, the CPS worker who took the call, rushes out to the given address and is told by Kevin's stepfather that he hasn't seen him in a while. Yet, your keen eyes see things in the living room that make you suspect that isn't quite the truth - a child's backpack, a tray of partially eaten food and a dusty picture. You leave with an apology for disturbing the stepfather but .... in actuality ..... your investigation has just begun! The graphics of the game are really very good. I was impressed with the realism of everything, especially the characters. Music was good but I tend to tune it out so I can't comment more than it wasn't annoying. lol Voice overs were great! And LIP SYNCING! Love a game with moving lips! Sound effects were equally also spot on! There are 3 modes of difficulty - no "custom" setting here. You have a diary filled with your notes (it does NOT light up, sparkle or go "BOO" when something new is added), but it does contain useful information and your new "task" is shown above it after you've completed the current task. There is a transportable map, which did come in handy. 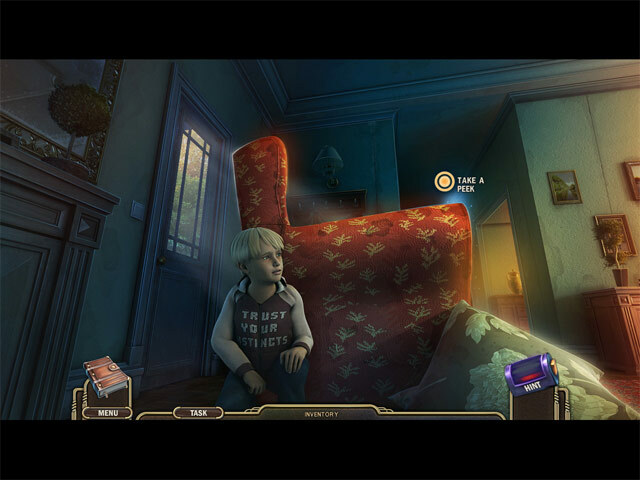 The HOGs (hidden object games) were the usual - silhouettes with interactive properties. Nothing was too difficult to find or figure out what to do with. The mini games were varied between same-old, same-old and fresh and fun, even the not-so-fresh ones. I wouldn't say there is an over-abundance of either HOGs or mini games. The concept of the gave is fairly simple. You find Kevin locked in the basement and basically break in and rescue him. You try to call the police but guess what? The Police appear to be involved in whatever is going on! NOW your adventure really takes off running ............. with Kevin in tow. First stop, a motel to rest and think. Who exactly is Kevin? He told you he DOESN'T have parents? Why not? Why is the step-father raising him? Or is he? Maybe he just "has" him??? Who is "coming to get him"? and who are the men in black masks chasing the CPS Investigator AND the boy? All these questions, and I hope more, will be answered in the game. I have progressively enjoyed the game each time I play it. Although I did not think it was CE worthy .... for me. It is definitely interesting and feels like a television or movie ... with a young boy (who has some telekinetic abilities), a CPS worker who is on the run with him, fast trains, car chase scenes and much more. I decided when the CE was released to wait for the SE and I'm glad I did. This isn't an HOG or mini game heavy game. This is a very classicly made Adventure game. Enough with the games and puzzles - concentrate on finding out about Kevin and trying to get him to safety. It's not a difficult game but I would recommend it for anyone who is looking for a good story with a lot of adventure going on. Come along and let's save Kevin and find out what else is happening in Paranormal Pursuit! Enjoy! Rated 3 out of 5 by A_Holovacs from Fun but average adventure The first half is more adventure like. I prefer realism and in te first half more things make sense. Half way through the game it changes to a "lead you by the nose" style. Illogical things sometimes will have you clicking around. for example, hidden in a snuff box is a battery. This little battery goes in the dashboard of a crane, but now it is 1/4 size of the dashboard. even odder yet, it powers the whole 3+ story high crane. 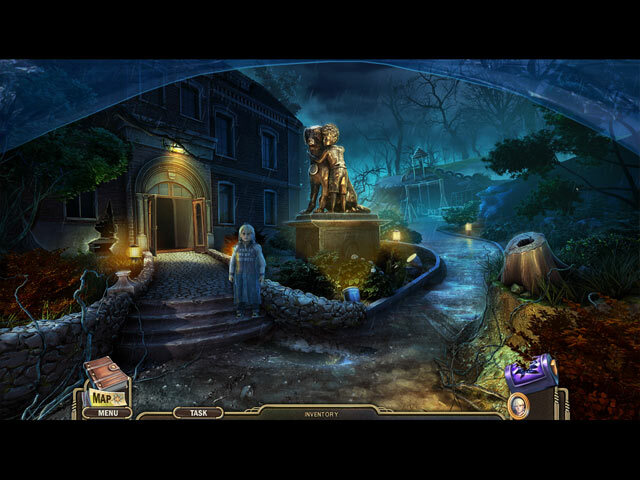 the story line is ok and the hidden object scenes are the one at a time kind. find one item use it in a way to discover the next item etc. Other puzzles are all on the easy side. Light entertainment, but nothing special. Rated 3 out of 5 by bluesycat from Not Sure What to Make of This Game Based on the demo. Here's all the good stuff: a really good story, kinda creepy about a kid with a collection of paranormal powers. The graphics are good. The music irritating - but most music is. . . But the game is clunky. Like really clunky. The play isn't exactly logical, and I was distracted by behaviors and scenarios that just couldn't happen in either the real or a fantasy world. For example, what child protective worker you've ever heard of can perform a 180 degree controlled skid from a dead stop to get her car out of a parking space? Even in the short demo, there are too many moments like this. I have some coupons. I might get it as a freebie, but I need to think about it. Rated 3 out of 5 by pfalcioni from Incredibly short game Although lacking any real brain-teasing puzzles, I enjoyed this game, but was astonished when I came to the end just a few short hours after beginning. Not enough here to make it worth a full-price buy, but maybe as a freebie if you enjoy the trial. Rated 2 out of 5 by bessiegirl from Don't understand the good ratings. I didn't even last through the demo, I got so bored. I found the little question/answer windows an awkward timewaster. The game seemed to drag badly. Lots of running back and forth, I thought the story was never going to progress. Even at a $3.99 deal I didn't think this game was worth it.